8.00 a.m. Meet the transfer by local taxi or Tuk - Tuk at guesthouse/hotel in Chiang Khong then depart to Thailand Immigration check-point for departure check out. After that cross to Laos border by shuttle bus, grant arrival visa and check in passport at Lao Immigration check-point, Houay Xai then transfer to slow boat pier. 9.00 a.m. Leaves at the slow boat pier for a cruise down the Mekong river. The first stop is Paktha this is (check point). 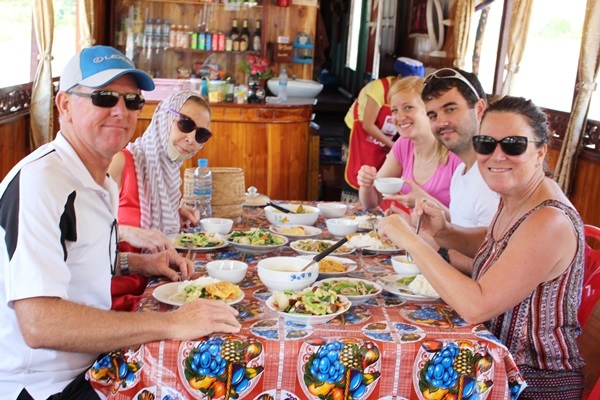 At the second stop we will visit the hill tribal villages to learn their culture and relax, then come back to the cruise a buffet lunch will be served onboard. 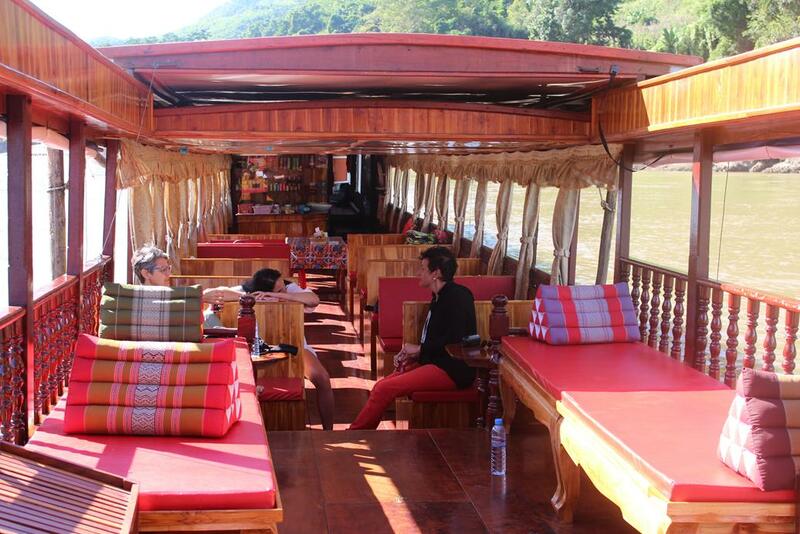 After lunch is your free time to relax and enjoy the Mekong River. 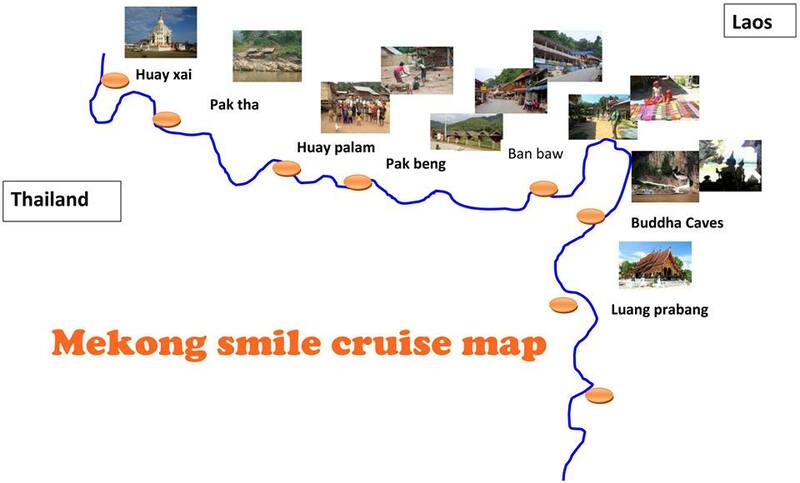 The cruise arrives at Pakbeng before sunset for an overnight stay at Mekong riverside lodge or similar in Pakbeng. Early in the morning you can visit the Pakbeng market (optional). After breakfast we depart at 8.00 a.m. to journey down the Mekong River. The first stop is at Ban Baw where you will observe the traditional whisky village, weaving village, handicrafts and textiles. A buffet lunch is served onboard. The boat stops again to visit Pak Ou caves. There are two caves, ‘Tham Ting’ and ‘Tham Phoum.’ The caves contain thousands of Buddha images. The mekong cruise arrives at Luang Prabang, a UNESCO world heritage city, before sunset and we have the van to pick you up at the main pier to Luang Prabang.Evening Arrive in Luang Prabang. 4. Infants (Less than 2 years old) are free of charge. 5. 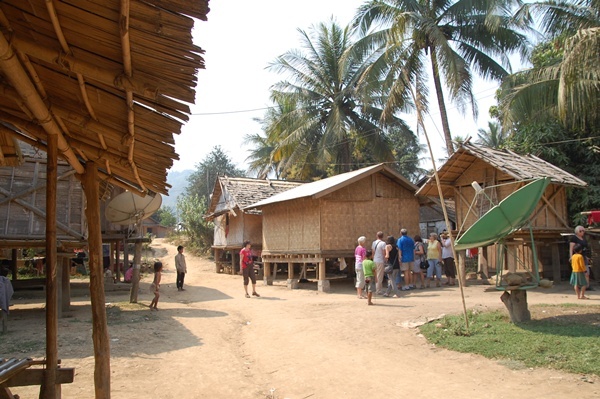 Accommodation and breakfast in Pakbeng. 7. Entrance fees for Pak Ou caves. 8. Lunch , Coffee , tea , drinking water and fruits on board. 9. Transfer to the boat and to Luang Prabang city. 1. Immigration and visa fees. 3. Personal expenses such as bar, telephone and laundry bills. 4. Foods and drinks not mentioned in the itinerary. 6. No dinner in Pakbeng.